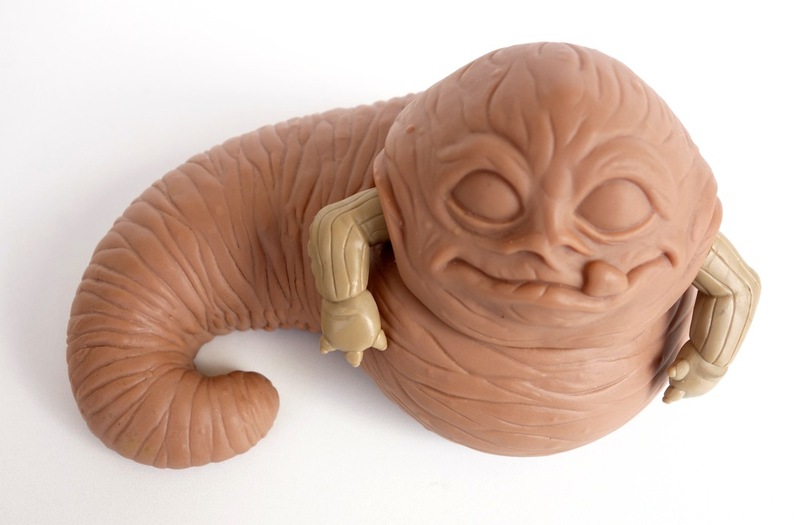 This is a “prototype” for the Galactic Heroes or Jedi Force Jabba the Hutt (both figures use the same mold). I have no details about it, which is why I put “prototype” in quotes. But I’m assuming it was probably created in connection with the Jedi Force figure, since that’s the more recent of the two. As you can see, it’s unpainted. But more importantly, it also uses a different color plastic than the production figures. Instead of the olive green color of the production figures, the body and head on this are a light brown. The arms are more green, but still not the same as the production figure. Above you can see the Galactic Heroes version, the prototype, and the Jedi Force version. As I’ve said before, I’ve heard of Chinese factory workers running off a bunch of figures in crazy colors for the express purpose of selling them as prototypes on ebay, so it’s difficult to know whether any particular piece was actually used in the production process, even if it did come out of the factory molds. 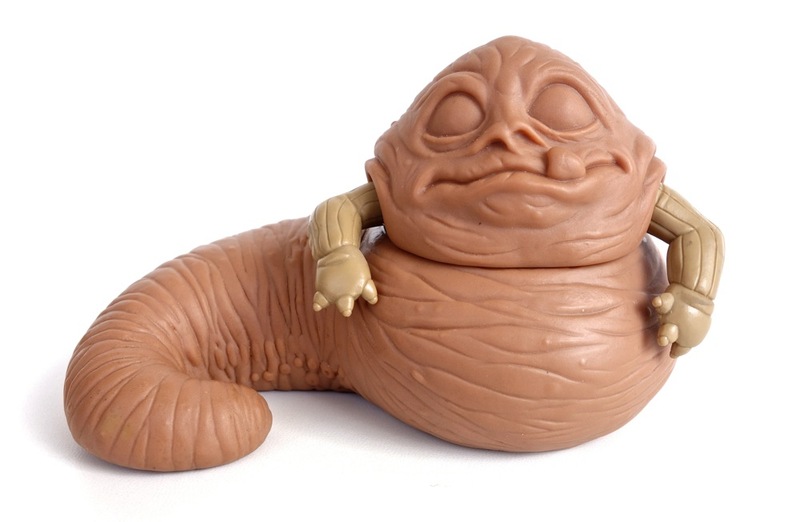 However, I’ve been watching ebay for years and this is the first prototype for this figure I’ve ever seen (in fact, Jabba prototypes in general are incredibly rare for some reason). So it doesn’t seem too likely that someone has a warehouse full of these that they’re going to unload on ebay. Either way, the fact that it’s in a different color plastic makes it a lot more attractive to me, since it looks cool and different, and you can at least be sure that it’s not just a production piece with the paint removed.